Beefy, cheesy, spicy, and creamy all add up to big-time taco flavor...but what if you’re craving something a bit more on the wild side? 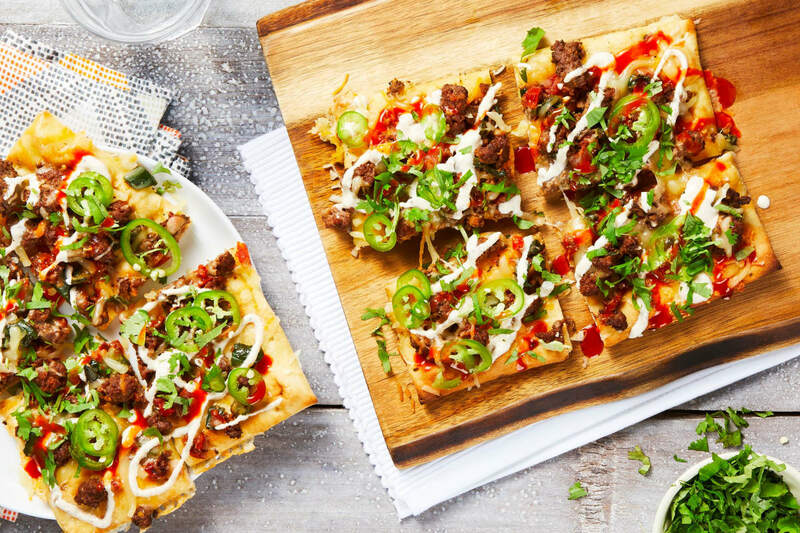 Taco flatbread mashup, anyone?? 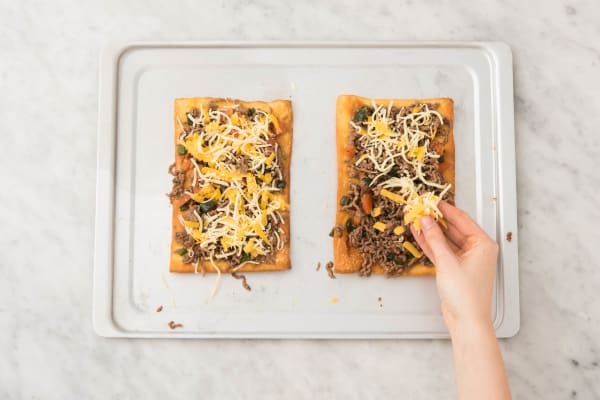 Swap typical tortillas for our extra-crispy flatbreads, pile on the beef, poblano, tomato, and double cheese, bake until crispy/melty/oozy, and enjoy the fruits of fusion. Adjust oven rack to middle position and place an aluminum-foil-lined baking sheet inside. Preheat oven to 450 degrees. Wash and dry all produce. Finely chop tomato. Core and seed poblano, then cut into ¼-inch squares. 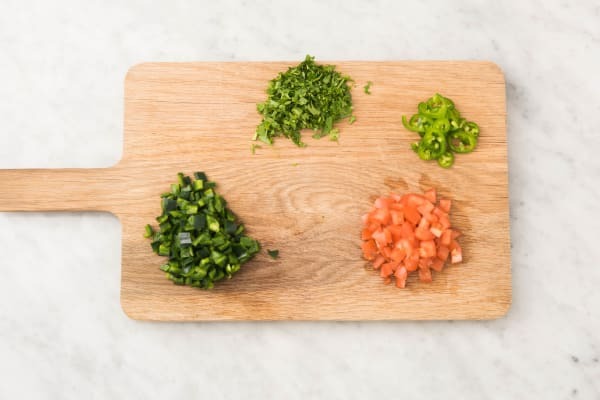 Finely chop cilantro. Slice jalapeño into thin rounds (remove ribs and seeds for less heat). Heat a drizzle of oil in a medium pan over high heat. Once hot, add poblano and cook, tossing, until lightly charred, 3-4 minutes. Season with salt and pepper. Remove from pan and set aside. 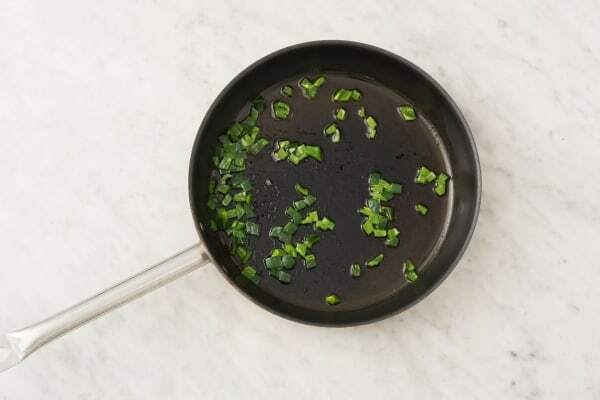 Reduce heat under pan to medium high and add another drizzle of oil. Add beef to same pan and season with plenty of salt and pepper. 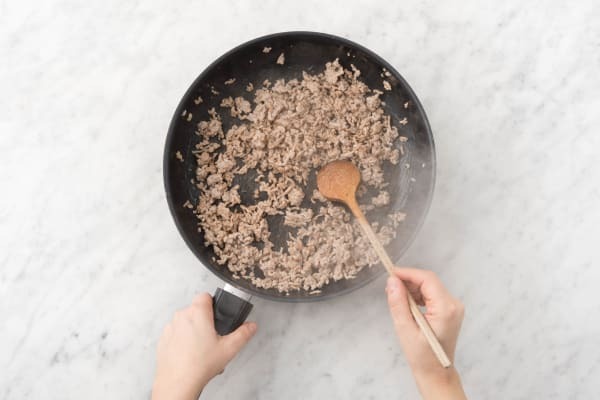 Cook until browned, 4-5 minutes, while breaking up meat into pieces. Add poblano, tomato, and 2 tsp Southwest Spice (save the rest for the crema) and toss until well combined. Season with salt and pepper. Remove pan from heat. While beef cooks, remove baking sheet from oven and place flatbreads on it. 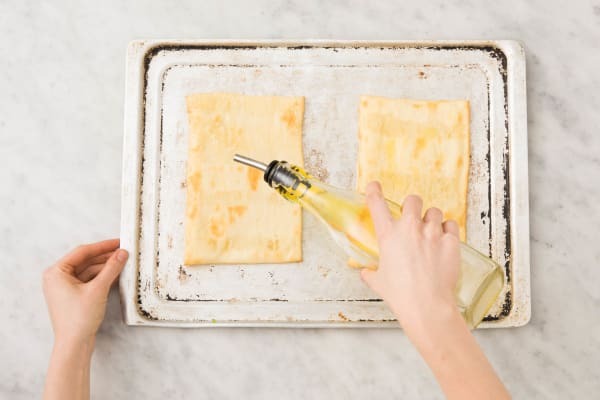 Drizzle flatbreads with olive oil and season with salt and pepper. Toast in oven until golden brown and slightly crisp, 2-4 minutes. TIP: Keep an eye out for any burning. Remove sheet with flatbreads from oven, then sprinkle each flatbread evenly with a layer of beef mixture. Scatter both cheeses over each. Return to oven and bake until cheeses melt, about 2 minutes. In a small bowl, stir together sour cream, remaining Southwest spice, and 1½ TBSP water. Season with salt and pepper. 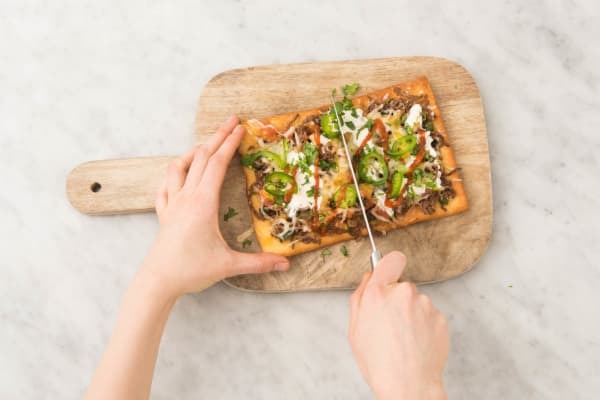 Drizzle mixture over flatbreads. Drizzle hot sauce over (to taste). Sprinkle with cilantro and as much jalapeño as you like. Cut into slices and serve.